This week features a report of a new and more sophisticated backdoor supply chain malware attack emanating from an unsuspecting global computer manufacturer. In a direct letter to Apple investors, Apple CEO Tim Cook dramatically lowered revenue guidance by $5 billion for the current fiscal quarter that ended on December 31. He further pointed to revenue expectations hampered by supply network constraints. Financial headlines this week are keenly focused on a building decline in technology stocks being led by Apple and its perceived shifting of iPhone product strategy that is now cascading across the hardware supply network. 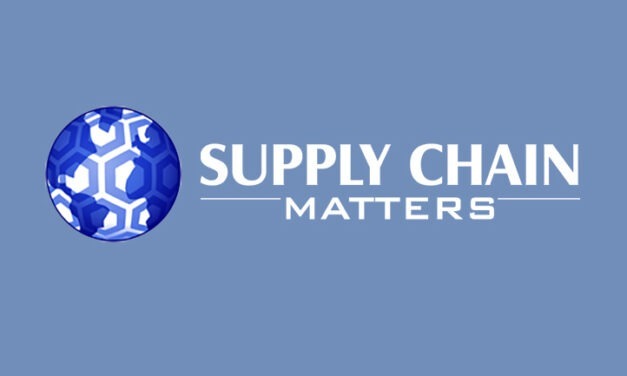 The Supply Chain Matters blog provides our September 20 update and insights commentary on the pace and impact of global trade and tariff events impacting global and industry supply chains. A computer virus has reportedly impacted the operations of global semiconductor chip manufacturer TSMC. The report is yet another reinforcement to manufacturing and supply chain IT and operational teams that data and information security must remain a top priority. President Donald Trump visits Wisconsin today to participate in the groundbreaking ceremony for Foxconn’s announced investment in a $10 billion electronics manufacturing facility in southwest Wisconsin. Today’s ceremony comes with a lot of undertones. Electric automaker Tesla has informed employees of a 9 percent overall reduction in workforce, primarily impacting salaried positions. The implication is that Tesla’s new management structure will continue to have a high dependency on existing employees, and in various degrees of talent and expertise to rally and address the ongoing challenges. A report originating in Asia adds questions as to the ultimate production strategy related to Taiwan based contract manufacturer Foxconn’s plans for its planned production facility in the United States.